Get familiar with the parts of the question that never change! Much of that I would call the “duh!-directions.” Of course, this is a critique of an argument. Of course, you shouldn’t ramble on about your own personal views. Of course, you should plan before you start writing. Of course, you hope to have time at the end to proofread and revise. All this is quite obvious. The last section, with bullet points, is somewhat more noteworthy. 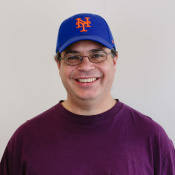 The first bullet point tells us: a good AWA essay is well-organized, has a natural flow from point to point, and is clear and unambiguous about what it is saying. Those are all important points to keep in mind. The second bullet point reminds us: what they present will be, in all likelihood, a flawed argument, but what you must create is a cogent and clear argument, and that will necessarily involve providing clear and relevant support. It’s not enough simply to assert something baldly: you must provide justification for what you are saying. The final bullet points may appear enigmatic: “control the elements of standard written English.” What does that mean? Well, first of all, it means: no grammar or syntax mistakes; your GMAT SC correction practice will serve you well in this regard. It also means varying the sentence structure — some simple sentences (noun + verb), some with two independent clauses (noun + verb + and/but/or + noun + verb), some with dependent clauses, some with infinitive phrases, some with participial phrases, etc. Finally, it means choosing the right words and the right tone: the tone should be skeptical toward the prompt argument and persuasive toward the points you are making, but not arrogant or dogmatic in any way. First of all, notice it give you one clear task: “be sure to analyze the line of reasoning and the use of evidence in the argument.” Then, it lists several strategies that you might employ in your analysis. Don’t feel compelled to use every one of these in every AWA essay, but you should be using most of them in most essays. The first is no surprise: identify the assumption. 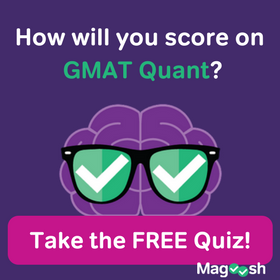 We know from GMAT CR that the assumption (https://magoosh.com/gmat/2012/arguments-and-assumptions-on-the-gmat/) of an argument is the argument’s “nerve center”, and finding it can be a vital strategy in either strengthening or weakening the argument. Along those lines, “alternative explanations” are alternatives to the assumption, and “counterexamples” are possible facts/scenarios that directly contradict the assumption. Often, one problem in the flawed prompt argument they will present is incomplete or partially relevant evidence. DO NOT question the evidence cited: for the purposes of your analysis, accept any evidence cited as such. Do consider, though: how well does the evidence cited support the argument? What evidence would be even stronger? Conversely, what kinds of evidence would weaken the argument even further? Again, do not feel compelled to have to use every single one of these on each AWA essay, but you should practice all of them, because any of them could be a crucial piece of any particular AWA essay. 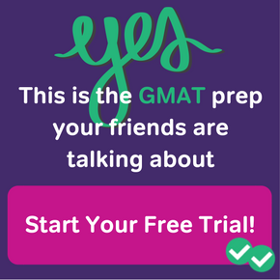 It’s true throughout the GMAT that knowing the directions ahead of time gives you an edge, because you don’t have to spend time reading them on test day. This advantage is compounded on the AWA section, because the instructions are substantial: it’s a lot to read, so it’s that much less to read on test day. Moreover, the “post-argument” paragraph enumerates skills that it will be important to practice and master, so you walk into test day armed and ready with your “analysis toolbox” already prepared. Also, I saw “evidenced cited as such” three paragraphs down from the “Post-Argument” Directions. “An” argument was intentional— we’re saying that of course a given AWA task is a critique of a given argument— or an argument. “Evidenced cited as such” is a genuine mistake though— good eye! Thank you for bringing this to our attention. I went in and corrected that typo. 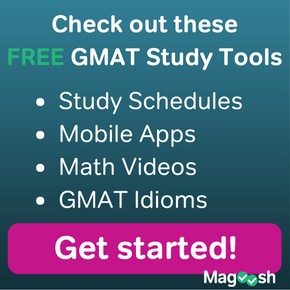 It’s true that the general *skills* you need for GMAT AWA are more or less identical to the skills you need for the essays on the GRE. Practicing for one will help enormously with the other. Is using a template a good thing to do? I mean lot of people use the princeton review template, but wouldn’t the graders notice that? And if using a template is a good idea, does magoosh offer a template? It depend on how detailed a template you mean. Having a rough plan is a good idea, but anything too formulaic would not be a good idea. Success on the AWA a balance of preparedness and flexibility, as I indicated in this post. This is why Magoosh offers no official template.